Dr. Lonnie Smith plays the PDX Jazz Festival on Friday. Best known for his ability to talk about spirituality as divorced from religion, neuroscientist, philosopher, and bestselling author Sam Harris writes and lectures about morality, meditation, human violence, and rationality. Along with some surprise guests, he’s now taking his award-winning podcast, Waking Up, on the road. Expect discussion of human nature, how the world is changing, and how we should live. In the spring of 1871, Oregon Trail pioneer Abigail Scott Duniway journeyed to a suffrage convention in San Francisco in hopes of meeting Susan B. Anthony. Together, the two traveled for months via horseback, carriage, train, and boat on their ultimately successful mission to grant women the right to vote. In Abigail Scott Duniway and Susan B. Anthony in Oregon: Hesitate No Longer, Pacific Northwest author Jennifer Chambers examines the women’s relationship and their roles in history. The Oregon Ballet Theatre brings to life a family-friendly show based on Lewis Carroll’s surreal classics, Alice’s Adventures in Wonderland and Through the Looking-Glass. This is the West Coast premiere of the version choreographed in 2012 by Septime Webre, with an original score by American composer and violinist Mathew Pierce—the Washington Post called it a “giddy parade, a pop-art dream, a feat of fevered imagination.” After 2017, everyone might nod in agreement as the Cheshire Cat proclaims that we’re all mad here. With a goal to shine a light on both the black experience and the achievements of African American performers and directors, the Portland Black Film Festival this year features a special appearance by Joe Morton. 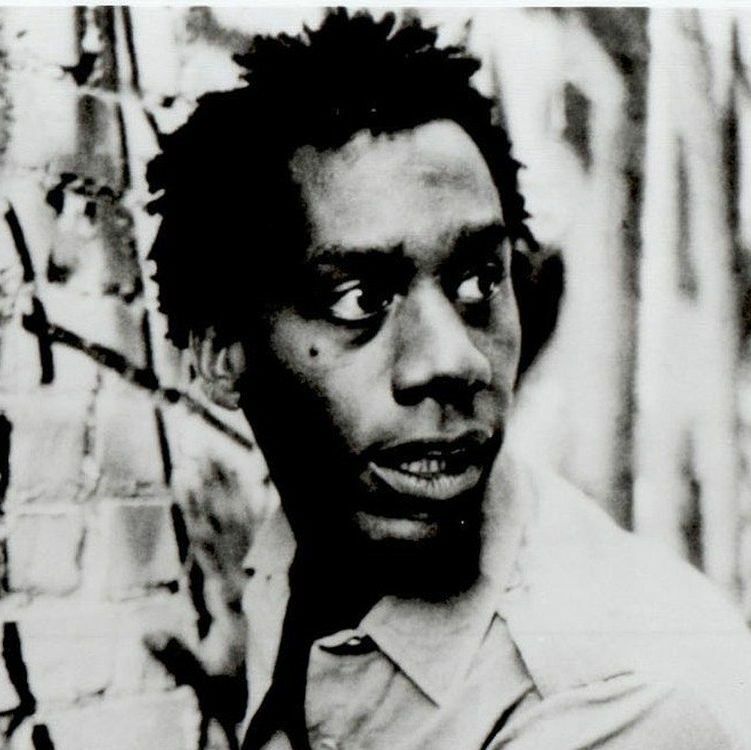 Morton—whom you might know as Eli Pope from Scandal or Miles Dyson from Terminator 2—starred in 1984′s The Brother from Another Planet, and he’ll attend a screening of that film on February 24. The R&B fabulist comes to Portland, supported by openers SiR and Nonchalant Savant. 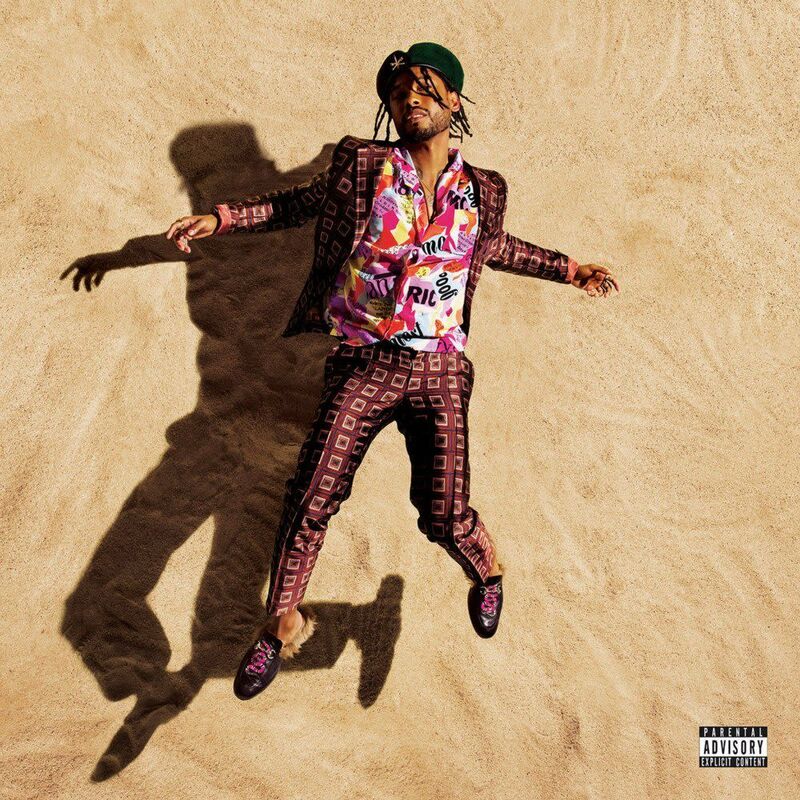 This tour promotes Miguel’s fourth full-length studio album, War & Leisure, in which he becomes more political than ever before—the Guardian goes so far to speculate he’s the new Michael Jackson. The annual fest turns 15 this year, with more than 100 events across 11 days. A top pick? Dr. Lonnie Smith, playing the Winningstad on February 23. With a career spanning five decades, the NEA-anointed jazz master is probably the most renowned jazz organist in the country: a finger-whirring whiz on the Hammond B-3. His first Blue Note album came out in 1968; his latest, in 2016. Last month, Portland’s beloved orchestral-pop army—the outfit counts at least 11 members—unveiled its first new studio album since 2013. Front man Kyle Morton described Offerings as a “70-minute exploration of memory and sacrifice in three movements.” Emotionally raw and a little spooky, it’s as layered and lush as anything we’ve heard from Typhoon. In 2006, musician Merrill Garbus formed Tune-Yards as a way to blend music and social activism. She first gained notice with debut album BiRd-BrAiNs, which the New York Times called “a confident do-it-yourselfer’s opening salvo: a staticky, low-fi, abrasive attention-getter.” Tune-Yards has since collaborated with the likes of Yoko Ono, Laurie Anderson, David Byrne, and Mavis Staples, and dropped a fourth album, I Can Feel You Creep Into My Private Life, last month. If you like your drag performances with a healthy injection of Judith Butler, Wayne Bund is here for you. In this comedic, multimedia solo show, the Portlander traces his evolution as alter ego Feyonce, along the way underscoring “the power of femininity and sass.” We talked with Bund in advance of the show—more here. 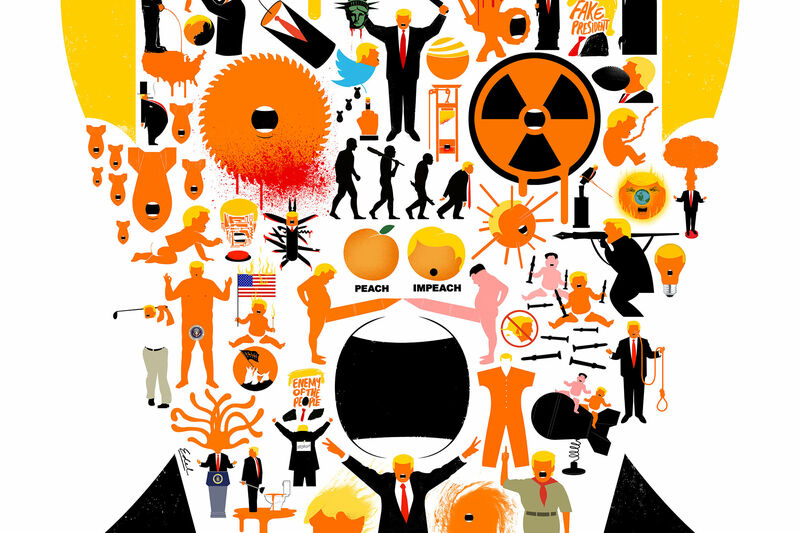 Cuban-American artist Edel Rodriguez has created some of the most piercing art about Donald Trump, including several illustrations that have graced the covers of Time and Der Spiegel. His politically charged work is collected here in a new exhibit—check out our slide show for a peek. For more than 25 years, Fazal Sheikh has photographed individuals made invisible by war, ethnic and religious strife, climate crises, and social banishment. Common Ground features eight of his series, each telling first-person testimonies of unimaginable hardship and perseverance in present-day Pakistan, India, South Asia, and elsewhere. It's like synchronized swimming, just with blades on your feet! Or, umm, something like that. The event brings some 1,600 skaters to Portland to spin, jump, and glide through complicated formations. We talked with a competitor for more details.